During the Holiday of Sukkos, we observe the Mitzvah of the Lulav & Esrog (The Four Kinds). 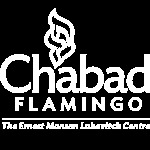 As a service to our community Chabad @ Flamingo is pleased to make this beautiful Mitzvah available to y ou. I would like to order a Lulav & Esrog set.